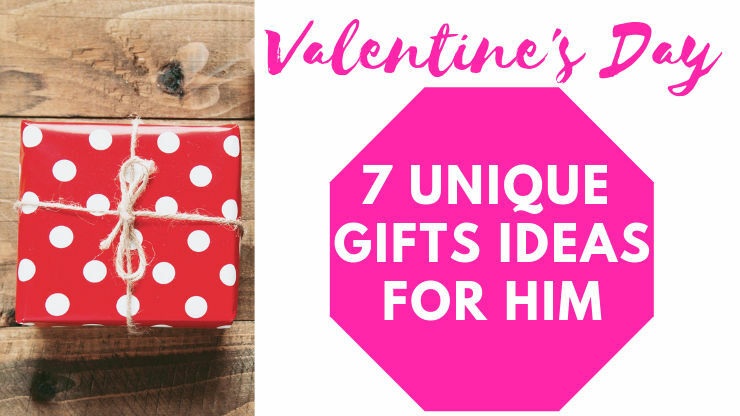 Valentine's Day Gift Ideas for Him - let's talk about love and giving back in a different way so somebody asked for some Valentine's Day gift ideas for him and I thought this article would be perfect because Valentine's Day is coming right around the corner. I definitely recommend my ladies if you are single, you guys are not officially together then go on the lower side of things. Because you don't know his setup, you don't know all of that so if you guys are not officially together then do the lighting stuff. Do the cheaper stuff don't invest input all your eggs in that basket. If it is your man and you guys been together for a while. He is outstanding you guys don't have any issues with cheating and all that then you go above and beyond for your boo show him. That you appreciate him that you love him that you know thank you for being a good man to me and this is how I appreciate you. So before you, all jump into your pockets and do some of these things for a man make sure that he's yours before you do it. You know me and another thing is like really figure out what he likes about Sunday. Sometimes I guess so in ourselves that we only think about what we want and what we expect when that's really not what it's about. It's about giving them love returned to figure out like. He likes all of these won't fit for every single man. These are very gentle but before I'm not gonna talk no more we just gonna get right into it. 1. The first gift idea I have for Valentine's Day is getting him tickets to his favorite game or maybe an artist that he really enjoys in town. Again this is more of you are my man and we've been together for a while type of gift. So the sporting events are always fun. I love going to sporting events but when you know like he is in love with that team you will make his day with some tickets to his favorite team's game or like say if he's a Lakers fan and you guys live in San Antonio when the Lakers play San Antonio go to the game. You know I mean for if you cannot afford tickets to a game his favorite Jersey paraphernalia of his favorite team like a banner something that he could put in his car, something that he loves that you know that it shows that you're paying attention to the things that he likes, and those little gifts go a long way. And if it's their favorite team they're gonna love it so they don't matter if it's one a little rag they want to hang it up they're gonna look okay. 2. The second gift is like if your guys really techie, any type of Apple earpods, Apple watch, maybe a pen because that's a little price like a hundred dollars to be gifted. If they have iPads or something like that like I don't and let's fly I said unless you've been together for some years I don't think going out and getting expensive. The gadget is the best way to go. But any kind of like gadget or anything small that's practical. They can use maybe headphones that they work out or something like that they don't necessarily have to be Apple. Just something that you know they can use what working out or something just depends on the guy but gadgets. 3. If it's just your boo you're not really together yet. But you love getting like Bath and Body works for men. They have a whole men's line. There something teak wood smells so good. It's kind of like a hog antique wood but go in there see what you like. Bath & Body Works is my absolute favorite place in the whole wide world. 4. Gamestop gift card- if your guy likes video games don't even waste your time says trying to figure out which game probably already has all the ones he wants. But a Gamestop gift card will allow him to go into Game Stop when a new game comes out or maybe take some money off of his purchase. You don't have to put the whole entire game amount on a gift card. Hell, it could be $20 and at least it's going to go towards something that. If he's a gamer or maybe some headsets or like new controller guys love things like that if they're into video games. So pay attention future guys like games GameStop gift card goes a long way. 5. Now the next tip is a little pricier but it's worth it. If you have a little sophisticated your man's a little more mature a little bit more sophisticated but a nice steak dinner there nothing wrong with treating your man to a meal. If he's your man, ladies if he's your man and you know he's been taking you out, he's been treating you there's nothing wrong with treating your man every once in a while. So if you're not comfortable doing it on Valentine's Day you could always take them a different day. 6. This is the tip number 6. It is at a very high price point. Again ladies, if he's your man and it's been a while like years at this point then treat him to a trip. 7. Number seven is also a lower price point something that I love to do regardless of how long we've been together. If you are dating him or if your boyfriend whatever is to get him a book. That's going to help grow his mind and help him learn and help him be a better person. I always give books like thinking Grow Rich is a great one that I like to do this. Steve Harvey Laws of Success especially if you're dating somebody and you feel like they need to get their life a little bit together and you don't want to date them anymore but you know you still want to be a good influence on their life. I really think that you'll enjoy this Book. I'm telling writing this from experience so thank you guys so much for reading this. I hope you guys enjoyed these tips. I hope you and your man enjoy these tips too. If any of you are try these tips after Valentine's Day please come back to comment here. Let me know how it went because I'm very curious to know I'll be spending Valentine's Day with my baby my wife and I'm so excited. Give a second to share "7 Unique Valentine's Day Gift Ideas for Him" on your social wall.